On Friday, April 12, National Toxic Land/Labor Conservation Service representative Sarah Kanouse paid a visit to the Lost Mound Unit of the Upper Mississippi River National Wildlife and Fish Refuge. Moonlighting as a college professor, Kanouse, along with artist Steve Rowell, brought a vanload of graduate students to enjoy a three-hour tour with Alan Anderson, the sole Fish and Wildlife Service employee working in the 9,400-acre former military base. Anderson was an enthusiastic and charismatic tour guide, answering our many questions with candor and humor and providing us a rare “behind the fence” experience of this military-to-wildlife conversion. Encompassing most of the shuttered Savanna Army Depot, the Lost Mound Unit is a small portion of the huge Upper Mississippi River National Wildlife and Fish Refuge, a 261-mile long stretch of river and adjacent land in Minnesota, Iowa, Wisconsin, and Illinois. 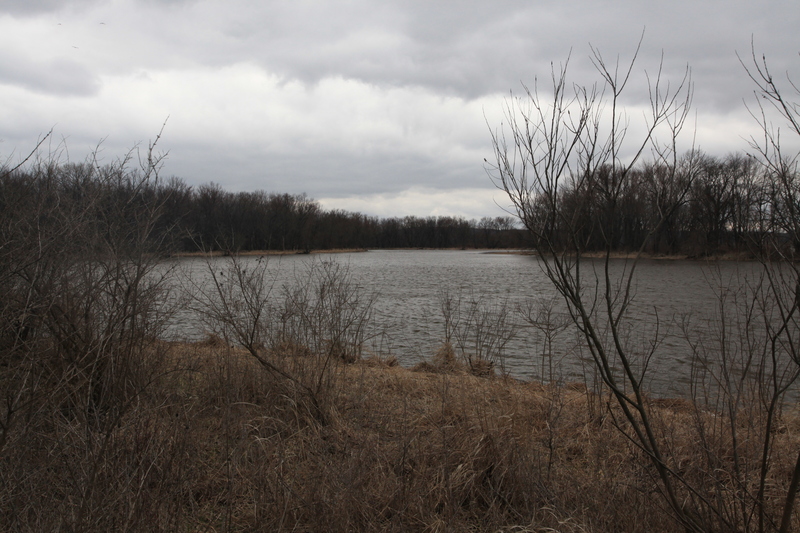 An exemplary military-to-wildlife conversion, the Lost Mound Unit is an “overlay” refuge, meaning land not actually owned by the Fish and Wildlife Service is managed for conservation while the EPA and the US Army handle clean-up. 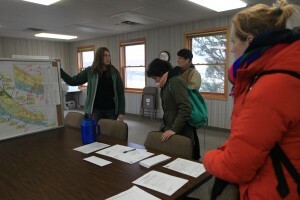 About 3,000 acres were transferred to Fish and Wildlife Service ownership in 2003, with the remaining 6,000 acres to be transferred once decontamination is accomplished to levels agreeable to all parties. Another 3,000 acres–containing most of the base’s administrative and residential buildings–have been transferred to a redevelopment authority, which is busy seeking businesses to take up residence and offset the 400 jobs lost when the based closed. While severe contamination remains in the refuge–including unexploded ordnance, chemical dumps, asbestos, and soil so laden with TNT it will burn–the refuge has genuine ecological value. The size, secrecy, and remoteness of military bases often resulted in unintentional habitat preservation. 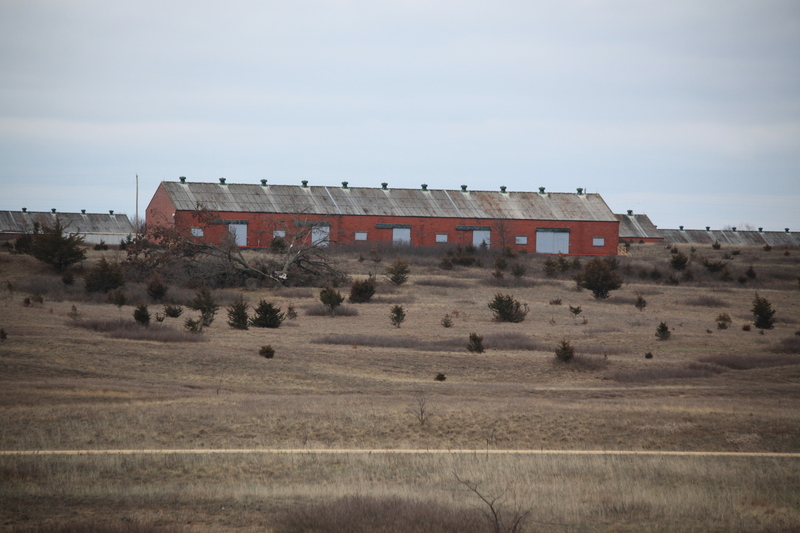 The site is a haven for 47 Illinois endangered and threatened species and contains the largest sand prairie remnant in the state–punctuated by munitions storage bunkers and peppered with TNT. 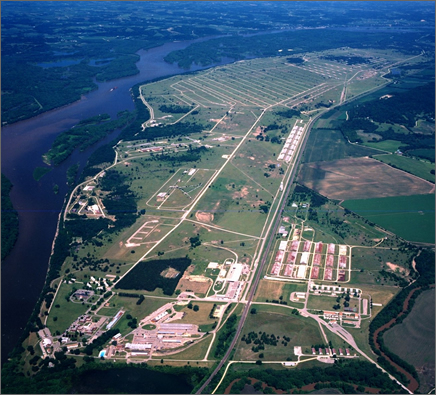 The Savanna Army Depot was opened in 1918 as an artillery test range of the Rock Island Arsenal (located further down the Mississippi). From 1919 to 2000, it functioned as an ammunition testing, storage, and recycling facility. While the Savanna mostly handled conventional weapons, it did store nuclear missiles in some of its bunkers. 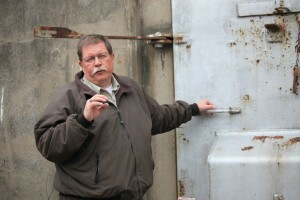 Additionally, armor-piercing depleted uranium shells were stored and possibly tested there, and munitions recycling involved the dismantling and washing of both TNT-shells and some chemical weapons, including mustard gas, into unlined lagoons that ultimately drained into the Mississippi River. As a result, there is significant soil and groundwater contamination, and the most severely contaminated portions of the River have been roped off with large buoys to discourage boaters and fishermen. The cordoning off of the sections of the backwaters is representative of the EPA’s quixotic, highly bureaucratic efforts at remediation. Designating specific types of contamination or geographical areas “operating units” overlooks the relationships between bodies of land and bodies of water–not to mention the unpredictable interactions between chemicals and their breakdown products in the environment. Much of Lost Mound is a floodplain, and the entire site drains into the Mississippi River–itself a toxic soup of industrial and agricultural chemicals, untreated animal manure, antibiotics and who knows what that is always moving, always carrying contamination downstream. Because cleanup is mandated only for levels of contamination that threaten human health, the EPA and the Army’s favorite way of dealing with it is to remove the people from the land. The conversion of a base to a restricted-access wildlife refuge is an efficient way to accomplish this, since the health of the wildlife is not a major factor in determining how much contaminated land must actually be cleaned up. This creates inevitable tension between the Fish and Wildlife Service and the Army. By simply boarding up and fencing off contaminated buildings, they have been administratively “remediated” to the point of protecting human health–even if, as in Lost Mound, their floors are so saturated with TNT that dropping a rock can set off a spark. Once a ‘preferred option’ (to use the bureaucratic term) for remediation has been established, no other course of action will be funded by the EPA or the Army. This means that Lost Mound is peppered with toxic military buildings that the Fish and Wildlife Service itself must pay to dismantle. Meanwhile, the operational budget at Lost Mound is $20,000 per year, and Alan Anderson has to take creative measure to accomplish his goals–like ‘subcontracting’ building demolition to a volunteer fire department as a training exercise. In additional to maintaining a streak of black humor, Anderson’s response to working in a politically charged environment is to avoid talking politics as much as possible. As we zigzagged between bunkers and across overgrown gravel roads, he demonstrated a wildlife specialist’s eye for eagles, vultures, and hawks and a land manager’s attention to invasive species. He proudly pointed out the hundred acres of sand prairie he personally cleared of invasive cedars with a bush hog. It took five years. Our first stop was to a fenced area where Anderson was leading a team of volunteers in re-introducing the ornate box turtle to the refuge’s shrapnel-studded sand prairie. It is the only habitat in the state where the turtle could survive. Yet the politics of the site cannot be avoided. When asked about relations with surrounding community, Anderson responded quickly, “They blame me, personally, for the base closure. Not the Army, not the Fish and Wildlife Service. Me.” While acknowledging that time has somewhat dulled the pain of the loss of the depot’s jobs and land, he still lives 35 miles away to avoid local hostility. 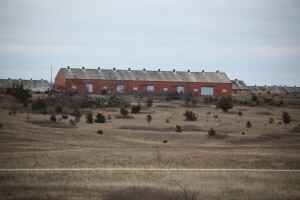 Former employees of the army depot apparently have found it hard to believe that the land where they worked for decades is a public health hazard, and the lack of jobs has depressed wages and population. Carroll County, where the town of Savanna is located, has seen an 8% drop in population since the base closed. Anderson describes the closure announcement in 1995 as coming something of a shock. “This place was flying high during the First Gulf War,” he explained, but introduction of the much-heralded (if less accurate than claimed) ‘smartbombs’ during that war spelled the beginning of the end for the Savanna Army Depot. While the redevelopment of the buildings is looked upon favorably for its economic benefits, the closure of two-thirds of the base to public use–let alone any kind of economic activity–has been far more difficult to accept. 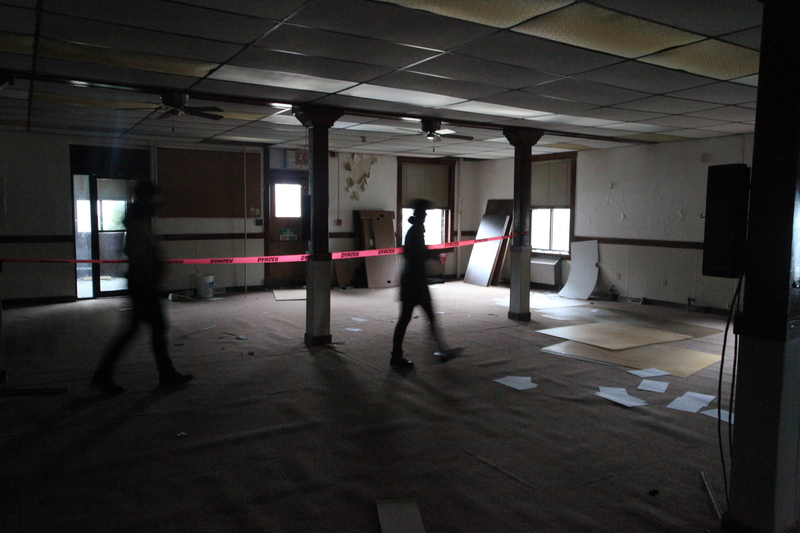 Our visit to Lost Mound was immediately preceded by a stop at the Jo-Carroll Depot Local Economic Development Authority, a bare-bones office in one of the base’s former administrative buildings. 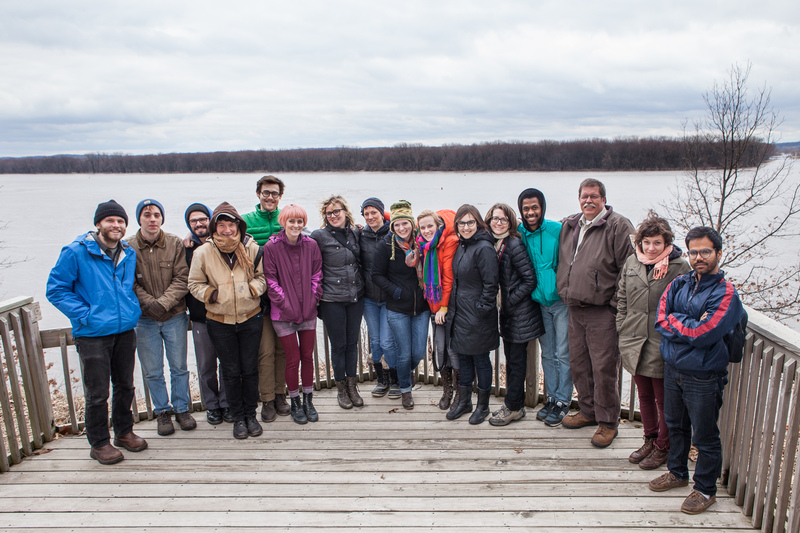 After a moment of confusion as to why a group of art students might be interested in the site, one of the employees helpfully explained the process whereby buildings are leased to private businesses with the option to purchase when cleanup is complete. In contrast to Anderson, the redevelopment specialist seemed frustrated with the thoroughness of the army’s remediation efforts, citing property transfers needlessly held up due to the presence of harmless metal scrap. Nonetheless, several properties are currently listed for very low prices, such as 3,700 square feet of office on 1.5 acres for $50,000. Businesses operating at the depot include a photography studio, a grain handling operation (with the humorous name of Area 51), communication technology companies, an electric parts supplier, and a firm developing technology for the oil and gas industry. Other ideas have been floated over the years, including using the bunkers for long-term data storage (ruled out by climate control and Internet access problems), while the Sac and Fox Tribe of Oklahoma to hoped to open several businesses, variously proposing a casino and resort hotel, ethanol plant, and call center. The Savanna Army Depot lies on Sauk lands stripped from the tribe after the Black Hawk War of 1832, but the proposal was rejected by the Redevelopment Authority, citing uncertainty around federal regulation of Indian gaming. Re-development has proceeded slowly, and many of the buildings are in significant disrepair. Our group went inside a 1918-era building that has been abandoned since the army left 2000; among sheaves of paper, stacks of old books, and dozens of plastic mats for office chairs, a raccoon was found nesting on the second floor– blending the economic development and wildlife habitat functions of the depot in an unexpected way. Even occupied buildings look dilapidated: peeling paint and grass growing in the front steps is the norm, not the exception. But a run-down appearance does not mean that the businesses here are struggling: one company headquartered at Savanna apparently has a satellite office on the West Coast. The depot is both an Illinois Enterprise Zone and a Foreign Trade Zone (FTZ), offering huge tax and tariff savings to anyone operating in it. One of the largest and, according to Alan Anderson, most profitable businesses operating in the former Savanna Army Depot is a company that moves and stores rail cars. As an FTZ, the depot is not considered part of the US for tariff purposes, so shipments can be warehoused (for a daily rate) until market conditions improve enough for the railcars (and their contents, if any) to be sent to another destination. If the former depot does not quite look like what you’d expect from a wildlife refuge, it also does not look like the “a privileged and effective environment for managing your products and raw materials” promised on the FTZ website. That it is both should prompt us to re-evaluate our expectations and become better able to respond to a world of complex and overlapping fields.